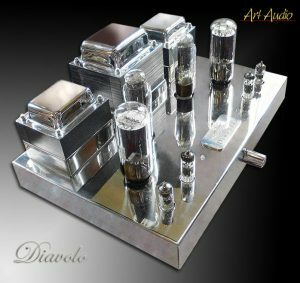 The Diavolo is no stranger to good reviews, George Papadimitriou of Enjoy the Music .com Said “The Diavolo combines the strengths of single-ended with the ability to drive most loudspeakers as well as the ability to give you the drive and “energy” of the music. It gives you, in one amplifier, both the detail and resolution as well as the warmth, texture, and emotion of the music. In short, it combines the resolution with musicality. 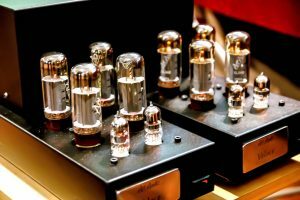 Well done Art Audio”. The Veloce monoblocs are so new that they have only been seen at a “Bake Off” arranged by The Audio Standard forum until now. At that event they really “Wowed the crowd” with their tonality, dynamics and their ability to drive really awkward speakers such as the classic Gale 401s. Manuy thought them to be the among the stars of the show. Come and judge for yourself, we will be demonstrating these and other Art Audio items during the course of the show.